I heard the angels sing “Praise the name of Jesus!” Singing in God’s choir in the sky. I heard a million voices praise the name of Jesus, Singing in God’s choir in the sky. 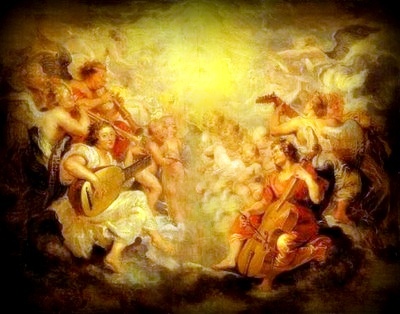 I heard a mighty song sung by all the angels, My soul thrilled at every loving word. I fell down on my knees when that chorus ended, They shouted out a glad Amen! I fell down on my knees, prayed that when in heaven, I would hear that choir once again.